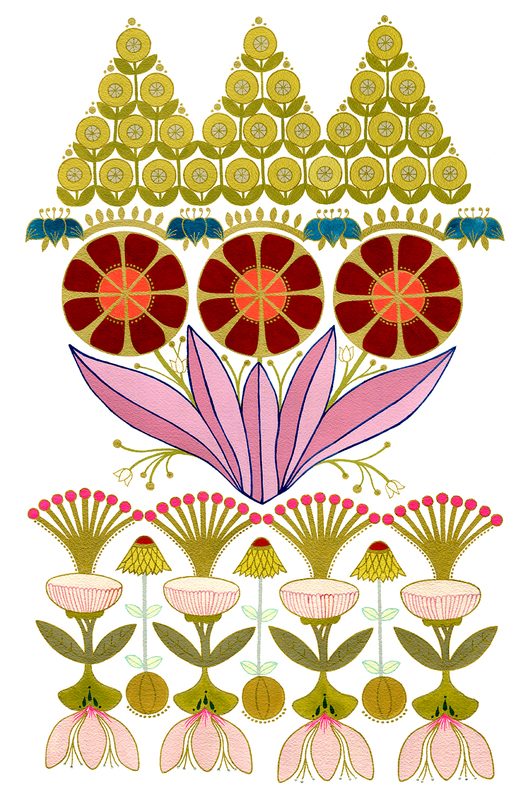 Flowers have served as a perennial muse to artists across cultures and centuries. With their endless variety, beauty and symbolic potential, flowers have inspired some of history’s most beloved works of art. As a remedy for the upcoming months of darkness and cold, 13FOREST Gallery is delighted to present Winter Garden, an exhibition of three contemporary artists who use their botanical subject matter to explore color, line, and form in continuation of a long-standing art historical tradition. Mary O’Malley, Carlos Santiago and Anne Silber demonstrate the range of possibilities that flowers present as an artistic subject. O’Malley draws on Eastern decorative traditions, creating vibrant and intricate floral patterns that convey a deep appreciation for our natural environment. 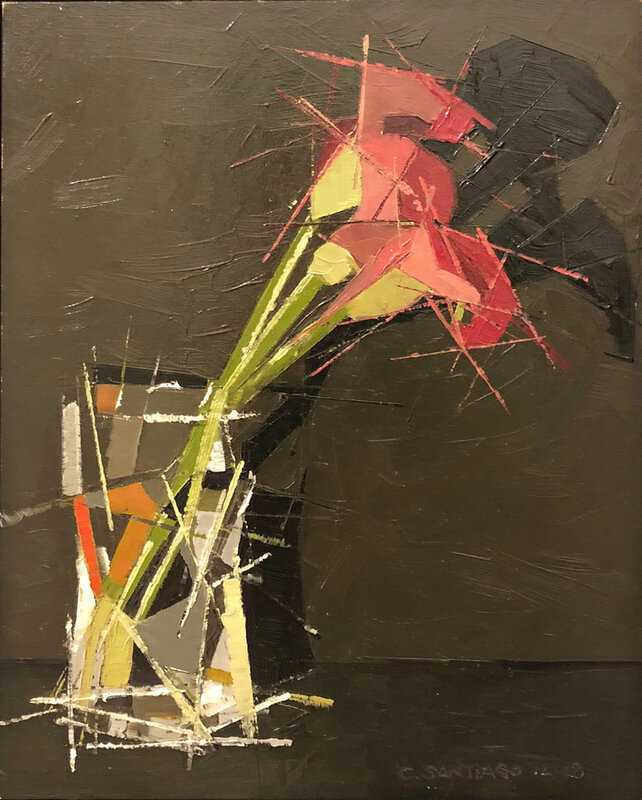 Santiago’s richly colored still lifes emphasize geometry, with energetic lines that extend the planes of his floral arrangements across the composition. 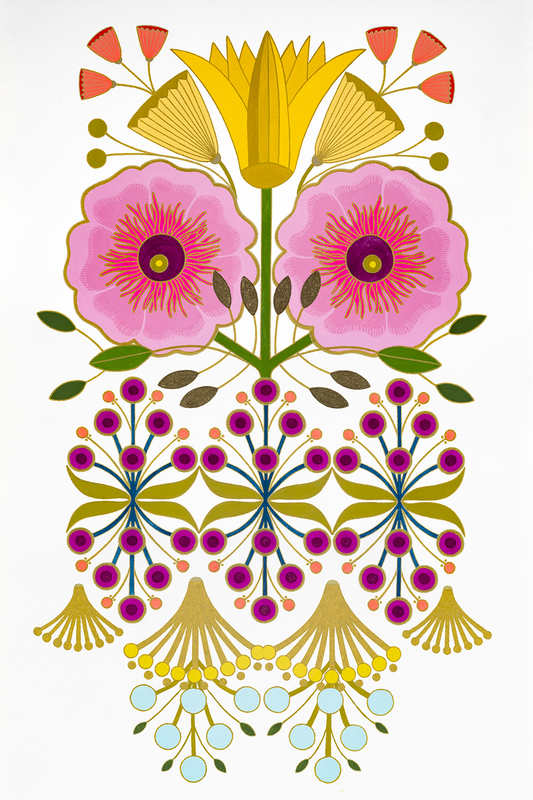 Using transparent inks and hand-cut stencils, Silber’s serigraph technique depicts leaves and petals in graphic shapes and soft, harmonious colors. Each approach in Winter Garden offers a unique mode for appreciating the vivid expressions of nature and the power of art to render the most familiar subjects new again. Mary O’Malley earned her Bachelor of Fine Arts from the Massachusetts College of Art and Design and her Master of Fine Arts from the School of Visual Arts. 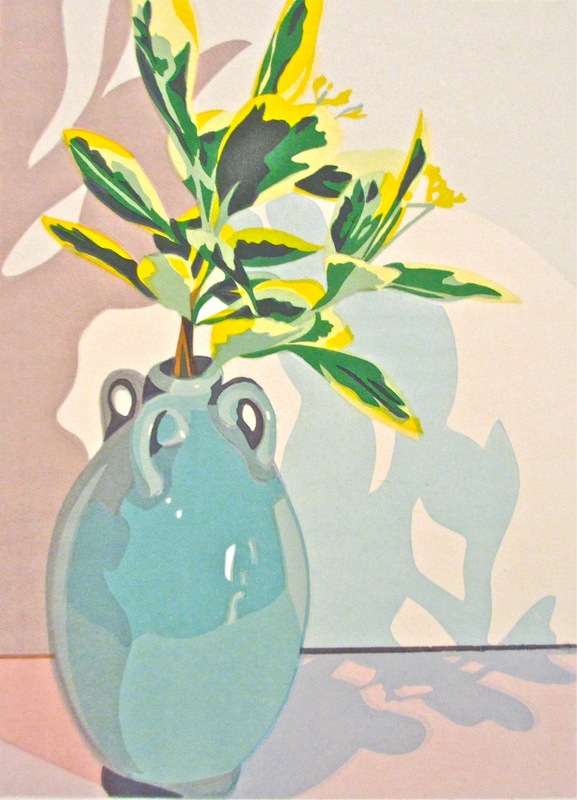 O'Malley's work has been exhibited widely, including a show at the DeCordova Museum and Sculpture Park and a solo show at Tower Hill Botanic Garden in Boylston, Massachusetts. In 2010, her work was acquired by the U.S. Embassy in Dubai. She lives and works in Rochester, New Hampshire. Carlos Santiago is a Puerto Rican-born artist who enjoys playing with shape, form and texture. Santiago obtained his Bachelor of Fine Arts from the Savannah College of Art and Design in Georgia. He subsequently worked for ten years as a design professional in the fashion industry in New York City. He continues his artistic education at the School of the Museum of Fine Arts at Tufts University and Massachusetts College of Art and Design, where he currently studies oil painting and lithography. 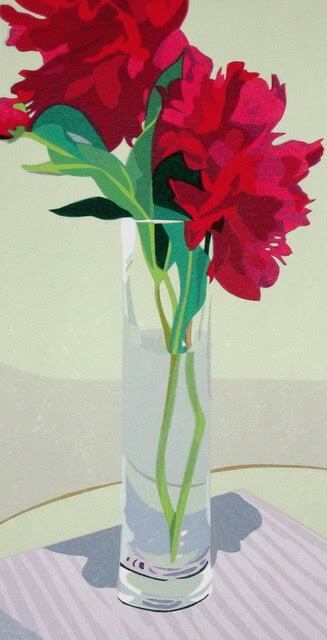 Anne Silber studied at Cornell University in Ithaca, New York, and has lived and worked in the Boston area since 1977. Silber’s work has been shown in numerous exhibitions around the U.S. and Europe, and is included in many corporate and museum collections. Additionally, her serigraphs have appeared on the sets of numerous films and TV series. Working in the realm of still life allows her the luxury of control in creating a small, ordered universe, with all elements carefully chosen and arranged.